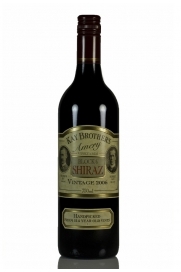 McLaren Vale is a South Australian vineyard area of great historical significance on the Fleurieu Peninsula. It is located south of Adelaide whose urban developments directly encroach upon its northern-most borders. 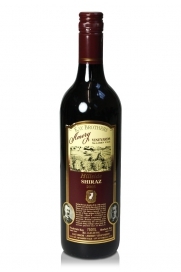 John Reynell, of Chateau Reynella fame, planted Australia's first vines here in 1838 and this wine region can still boast many vines in excess of one hundred years old. 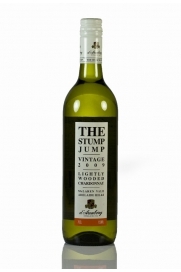 It is best known for its richly flavoured, complex red Shiraz, Grenache and spicy Cabernet Sauvignon wines from such noted producers as d'Arenberg and Kay Brothers with the production of white wines focused mainly on the ubiquitous Chardonnay although both Sauvignon Blanc and Sémillon can also be very successful. A recent trend has seen Iberian and Italian grape varieties planted with good results. 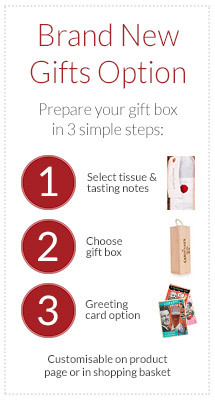 McLaren Vale possesses a variety of topographical features with a wealth of soil types. The increasing attention on terroir is being led by a local initiative known as Scarce Earth which is dedicated to decoding the influence of geology, topography, soil and climate with a focus on single block Shiraz wines. The vineyards north of the small town of McLaren Vale itself has thinner topsoil and it is here that the yields are lower and intensity of flavour greater. Various loam soils with clay-based sub-soils predominate throughout the region. The Mediterranean climate is influenced by the Mount Lofty mountain range to the east and the coastal area on the Gulf St. Vincent to the west both of which serve to moderate conditions. 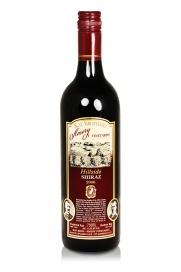 It should be remembered that wine-making is still a fairly recent endeavour, historically speaking, in the “New World” and the identification of special terroirs is not as highly developed as it is in “old world” countries such as France. McLaren Vale is home to 656 vineyards, 542 grape growers and 80 wineries in total all of which are phylloxera free. Approximately 20% of the planted vineyard area is cultivated without the use of irrigation but the reminder has benefited from one of the most advanced water recovery systems anywhere – a positive advantage in the recent drought years and a blueprint for similarly affected areas elsewhere. 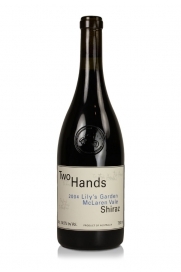 A McLaren Vale Shiraz made from premium grapes that is drinking superbly now and for the next 5 years at least. 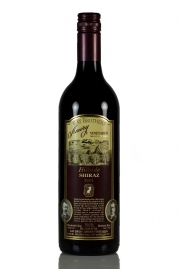 Earthy notes of mulberry, plum and tobacco and hints of cinnamon, liquorice, and coffee arise from this intense 2006 Shiraz and its carefully crafted nature comes through in its near perfect structure. 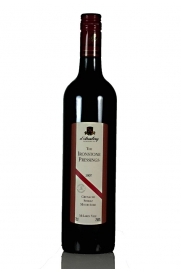 D'Arenberg's The Ironstone Pressings Grenache, Shiraz, Mourvèdre, McLaren Vale, 2007, has a fruity nose with fresh plum, blackberry and raspberry entwined with nutmeg and cinnamon spices along with a floral lift. 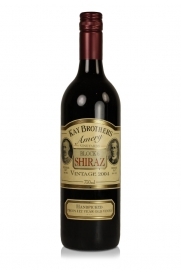 There is a touch of licorice and a hint of white pepper adding complexity. 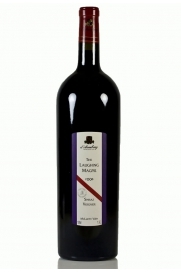 This magnum of d'Arenberg's Laughing Magpie Shiraz-Viognier 2008 blend has a good colour with a highly perfumed bouquet and an abundance of black fruits, savoury charcuterie, and a suggestion of violets.